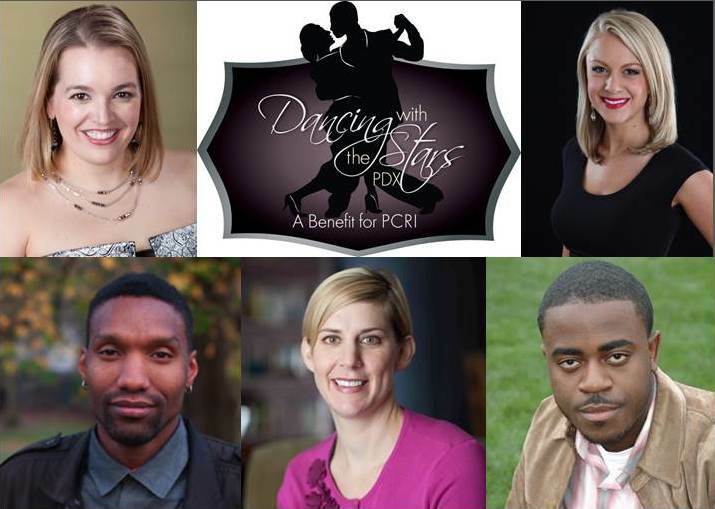 PCRI Lounge · Search results for "| judge"
PCRI’s 2014 Dancing with the Stars Gala will feature five prominent Portland community members, each competing with their professional partner from Fred Astaire Dance Studio to earn the title of Gala Champion. The dancers include: Ifanyi Bell, Emmy-nominated producer for Oregon Public Broadcasting; Ashley Korslien, reporter at KGW Newschannel 8; Charles McGee, CEO of The Black Parent Initiative; Kelly Russell, professional benefit auctioneer; and Jennifer Williamson, Oregon State Representative for District 36. Judges for the dance competition include: Samuel Brooks, founder and Chair of the Oregon Association of Minority Entrepreneurs; Kristin Connor, Capital Pacific Bank; and Jill Nelson, founder and CEO of Ruby Receptionists (and a competitor at the 2013 gala). The reigning gala champion, Katherine Cook, reporter for KGW Newschannel 8, will take charge of the event as Mistress of Ceremonies.